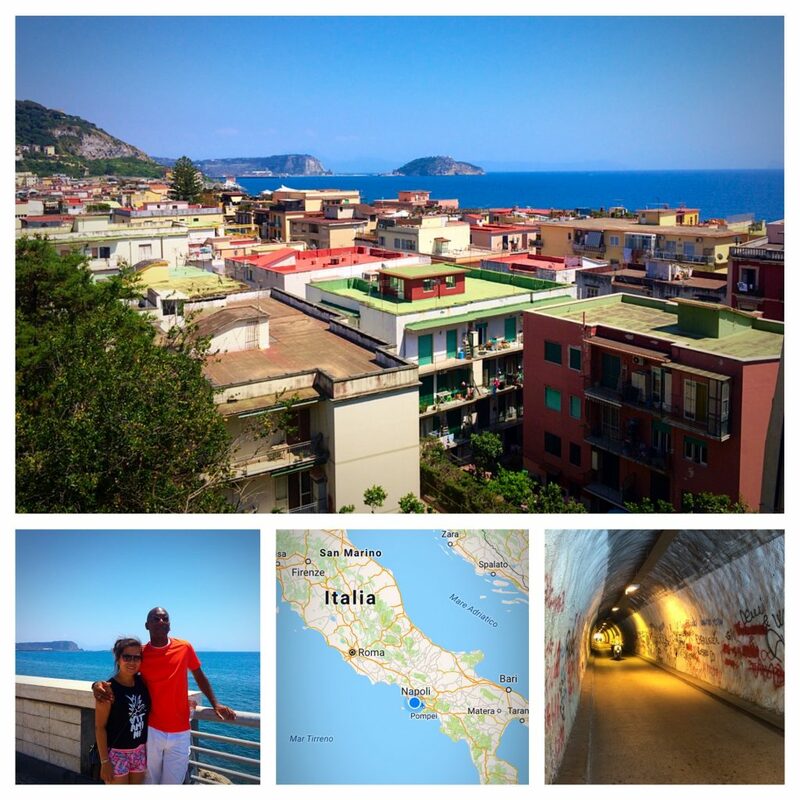 As I was peering outside my window of the Italo high-speed train from Rome to Napoli, enjoying the southern Italian landscape, I was flooded with memories of how this country has both inspired me and challenged me over the years. 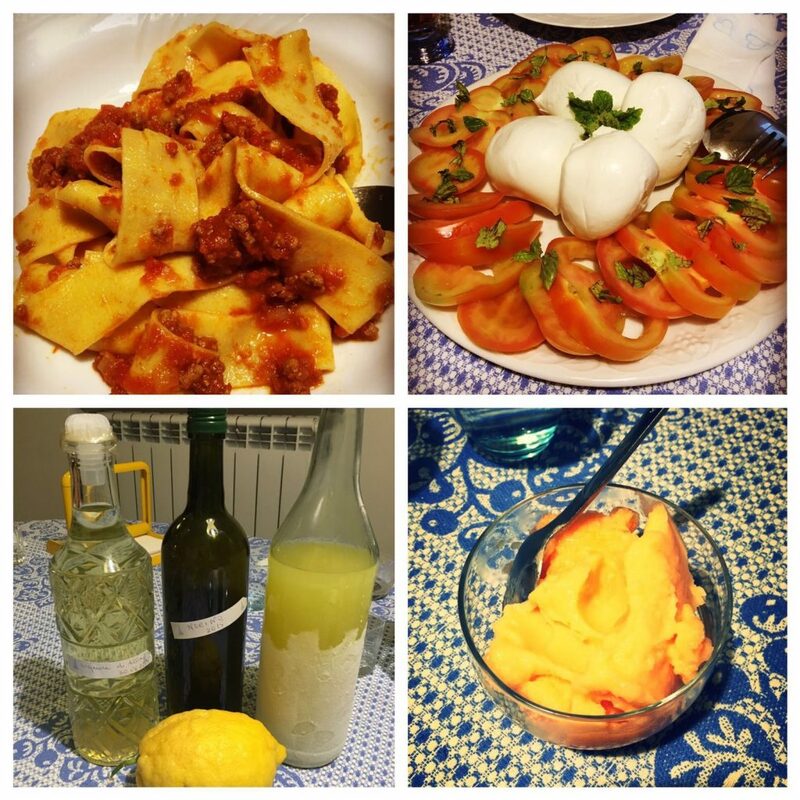 My initial Italian experience was one of my most difficult (linguistically) back in 2006. I’d studied the language on my own for the previous 6 years and took a trip to Tuscany and Liguria to test myself and expand my skills. Yet, within two days, I had completely shut down and returned home weeks later frustrated and downtrodden. In hindsight, it was quite understandable. I hadn’t really ever spoken the language to anyone up to that point. I’d simply only studied books, tapes, songs, and watched a few movies. 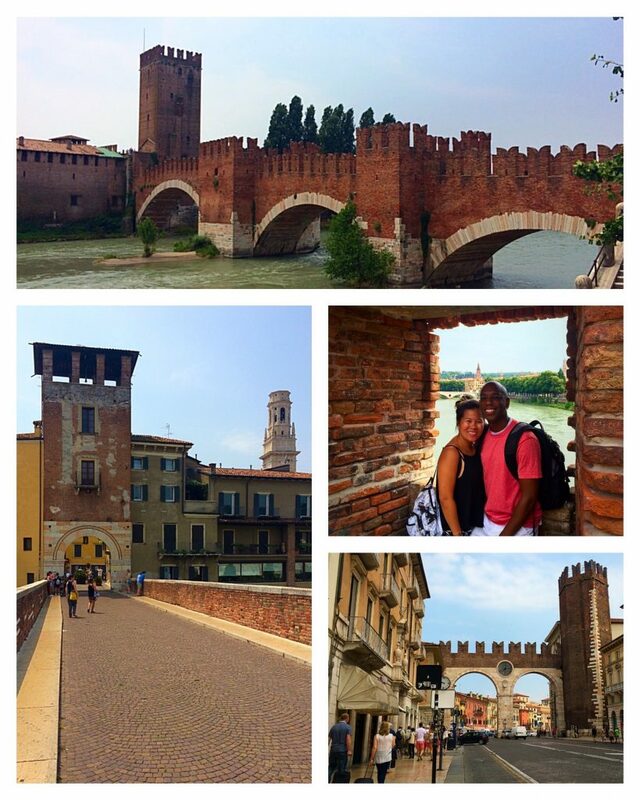 But being in Italy, attempting to speak, let alone understand locals – who frankly didn’t have much patience for a black American (no less) stumbling through their language in the tourist havens that are Florence, Pisa, and the Cinque Terre – was a daunting challenge. Weeks later, I returned to California and decided to dive back into Spanish and leverage my friends, coworkers, life in California, and trips to Mexico to build my linguistic confidence. Over the next few years, my Spanish grew to such a point that I started to receive some of the most informal yet awesome compliments. One such time occurred at a Spanish restaurant in Menlo Park, CA where my Spanish tutor and “querida amiga” Delia and I frequented monthly for our Tapas Tutoring Sessions. That particular night, one of the ladies at the restaurant, who had served us many times before, asked where I was from. I asked her to guess. Her first choice was the Dominican Republic – not Chicago, my original hometown. The simple fact that my Spanish had risen to the point where native speakers think that I emigrated from a Latin-speaking country is still one of the best compliments I can ever receive. 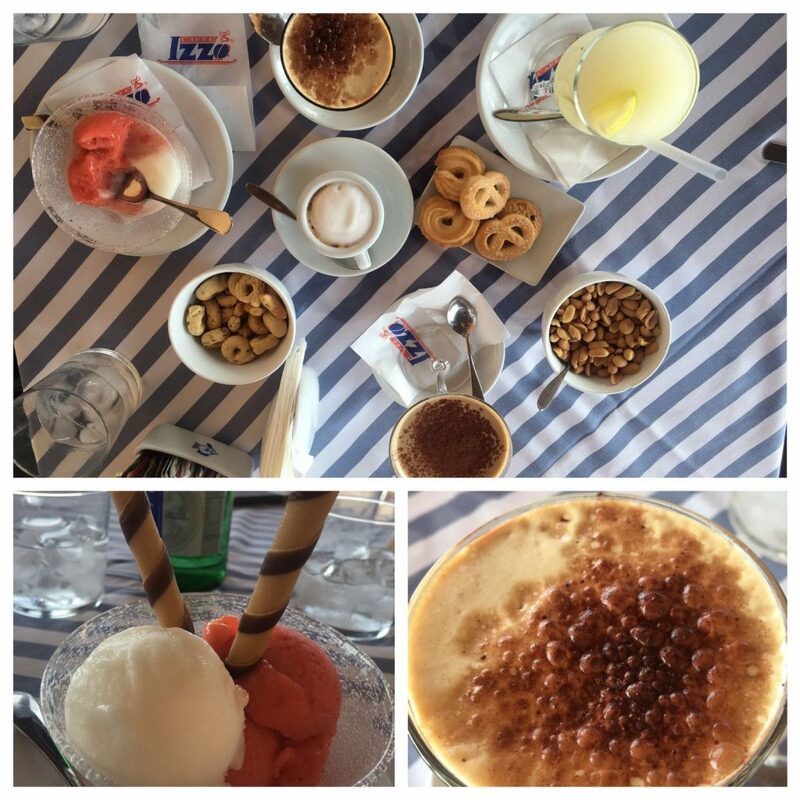 A few months later, I decided to take another shot at Italian but this time I would focus on intensive immersion, similar to my experience in California with Spanish. So as I sat on the train, nearing Napoli, I reflected on my first immersion trip to Bologna back in 2012 and my second extended visit in 2013. Both times challenged me to such a point that I mentally broke down at least once on each trip but that’s part of the immersion learning process. It beats you up, yet makes you stronger. 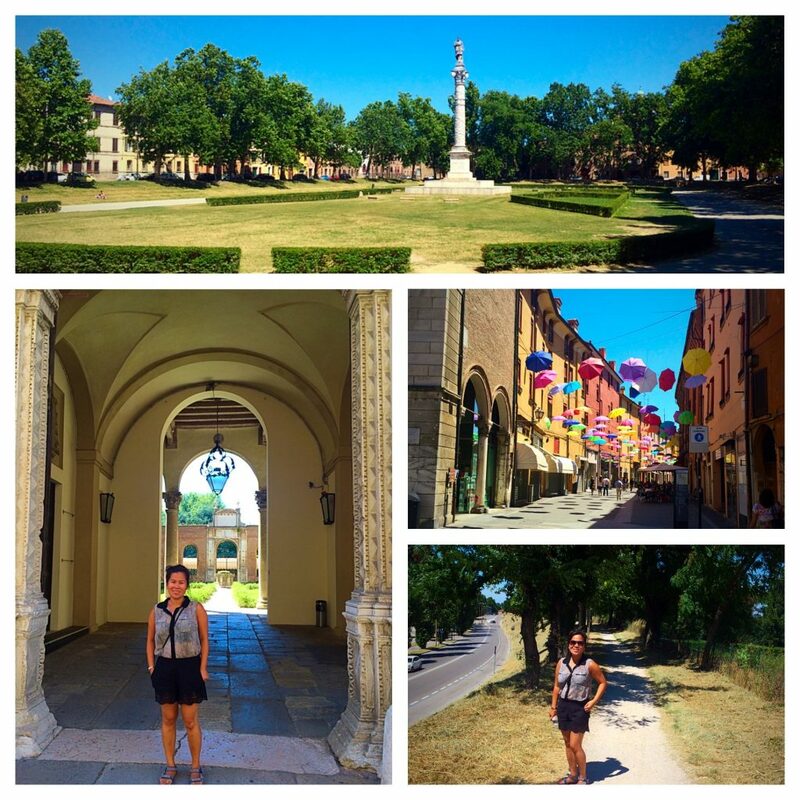 But not only has Italy brought me immense challenges, it’s also brought me immense joy – like the day I proposed on the Spanish Steps in Rome back in May 2013 and spent the next ten days showing my new fiancée the beauty of the country. 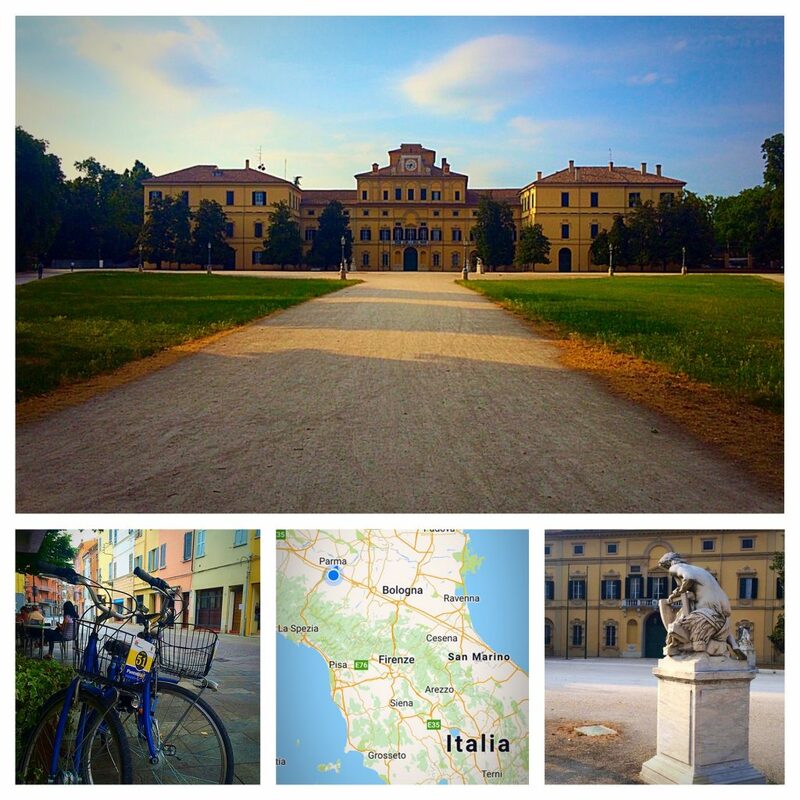 On that same trip, after she returned back to the States, I stayed in Italy and ventured south for the first time – to the same place we were now traveling together on the Italo train. 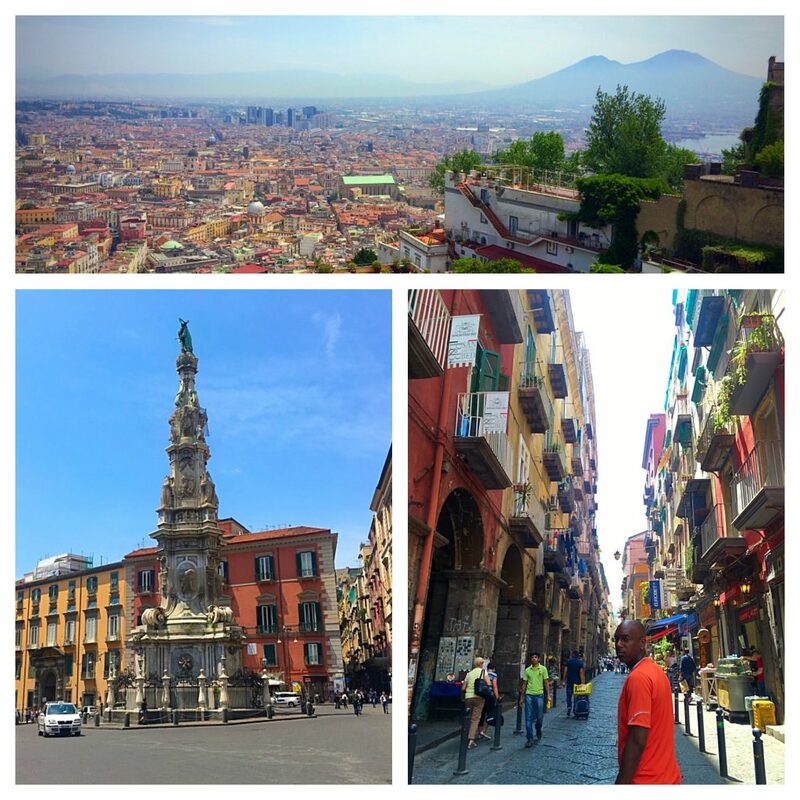 Our first of four weeks in Italy was spent in the brash and beautiful city that is Napoli. 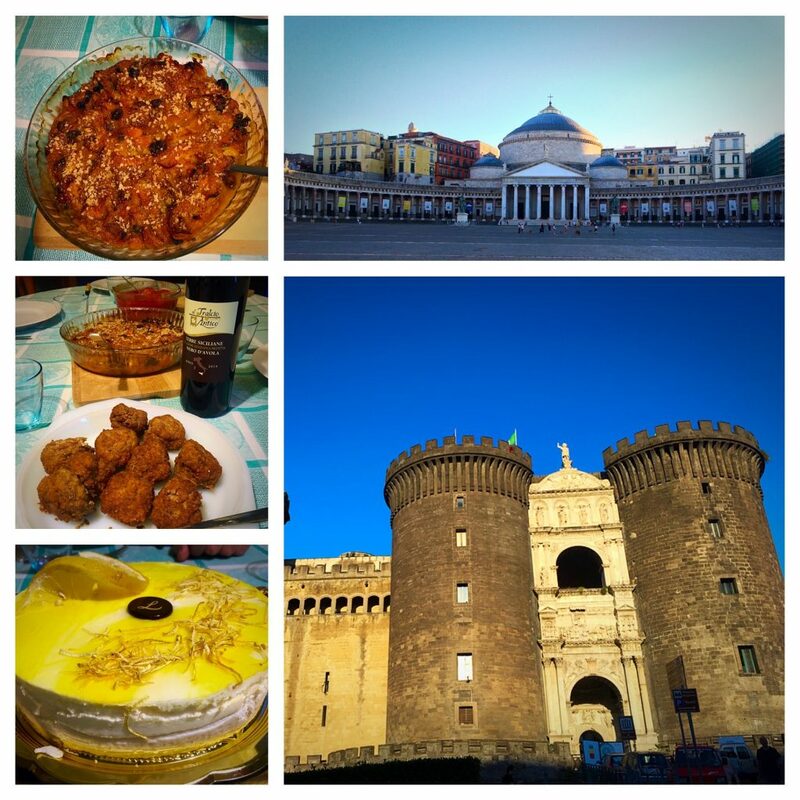 I have to be honest; I’ve never experienced Napoli as a true tourist. Both times I’ve visited this vibrant and bold destination, I’ve been comforted by the hospitality of my friend Sara and her parents. Whether you’re in the States or Italy, there is something simply humbling about southern hospitality. What’s more is that, in most respects, Napoli is the type of place that I would probably never visit unless I knew someone there. Now, having visited and experienced this type of hospitality twice, I doubt I could ever return to Napoli and have a better experience. Perhaps the most surprising aspect of my first few days in Italy was the ease to which the language came naturally to me this time around. As soon as we got off the train in Napoli and I began to interact with Sara and her parents, my Italian felt more fluent than my Spanish. I was shocked at how comfortable I felt. 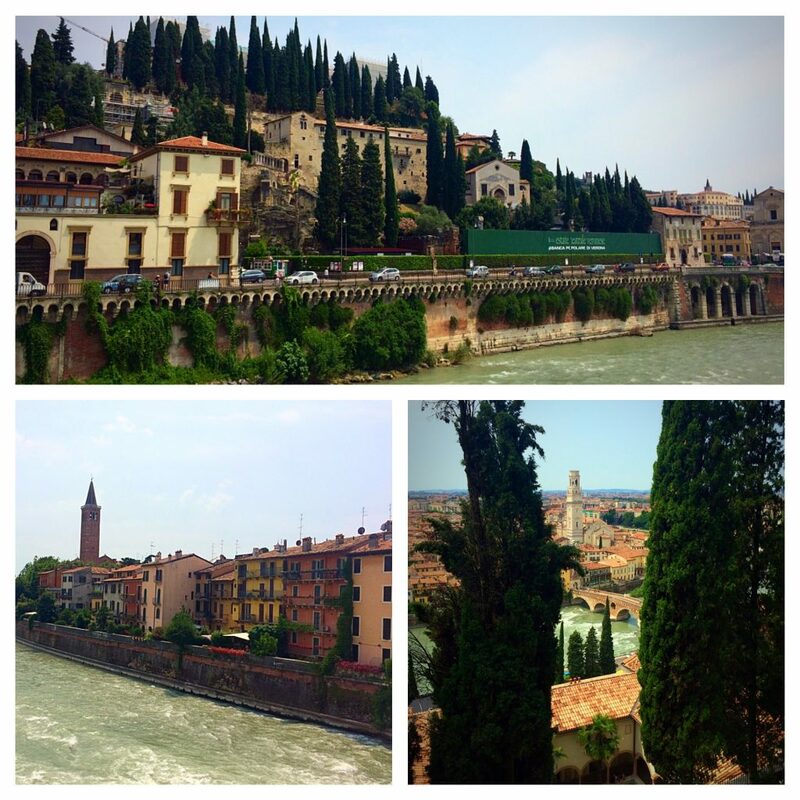 Weeks later, I would hit another major wall with my speaking abilities during our day in Verona but I was surely enjoying the linguistic freedom that emerged during the first few days. 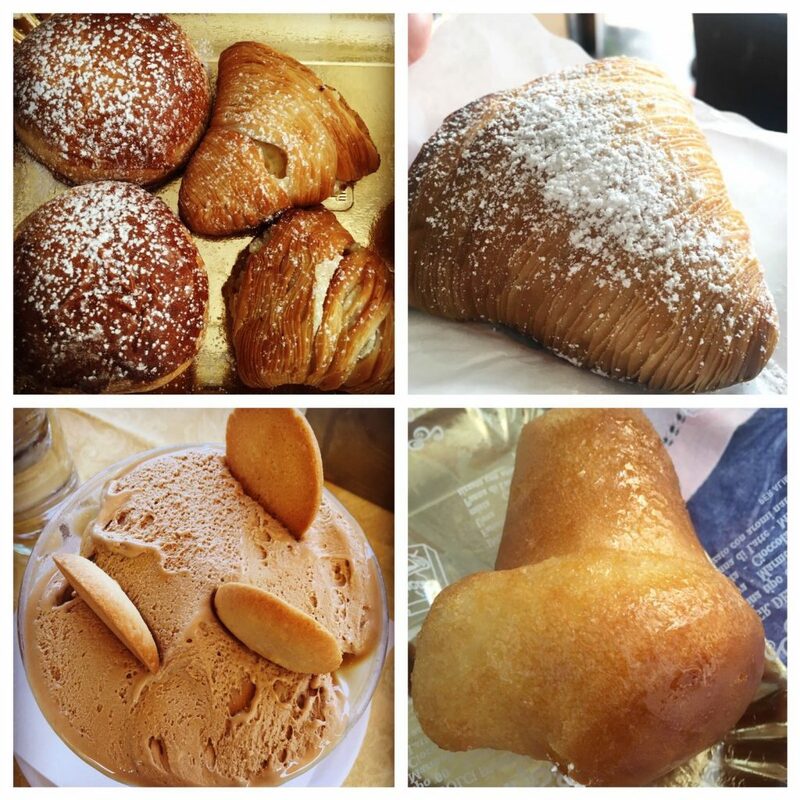 Our time in Napoli was truly about people, pasta, and pastries. Since I’d visited the city previously, my friend Sara and I coordinated short scenic and culinary ventures to introduce the city to my wife. Many of these sights and excursions were the same as I experienced with Sara the first time back in 2013, but remarkable nonetheless. 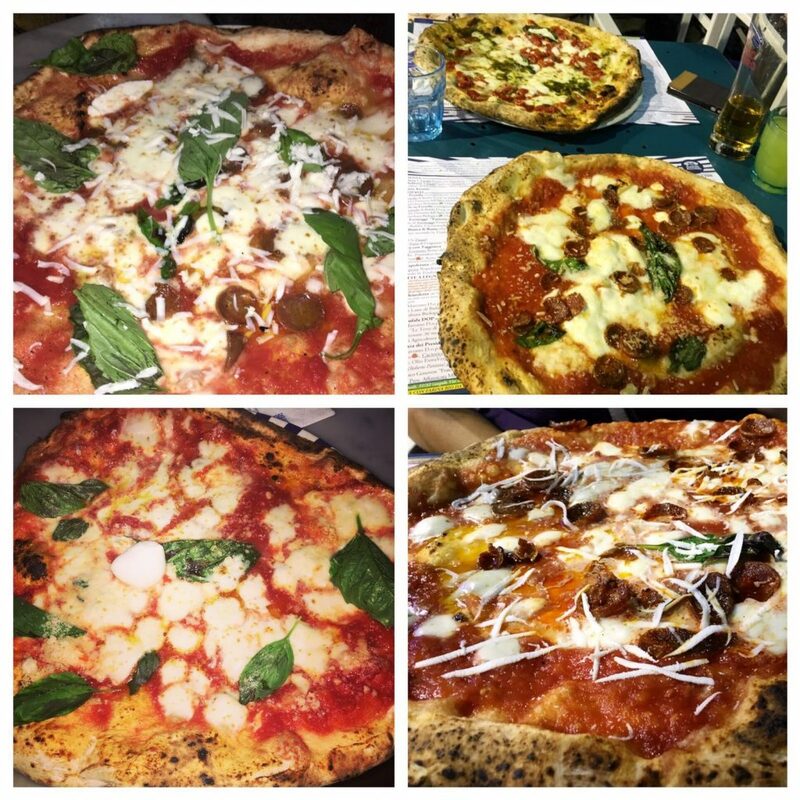 Over the first two days, we walked from the Vomero area of town down through the famous street of Spaccanapoli, experienced the amazing pizza that is Sorbillo, and returned every evening to the culinary delights of Catalanotti household. 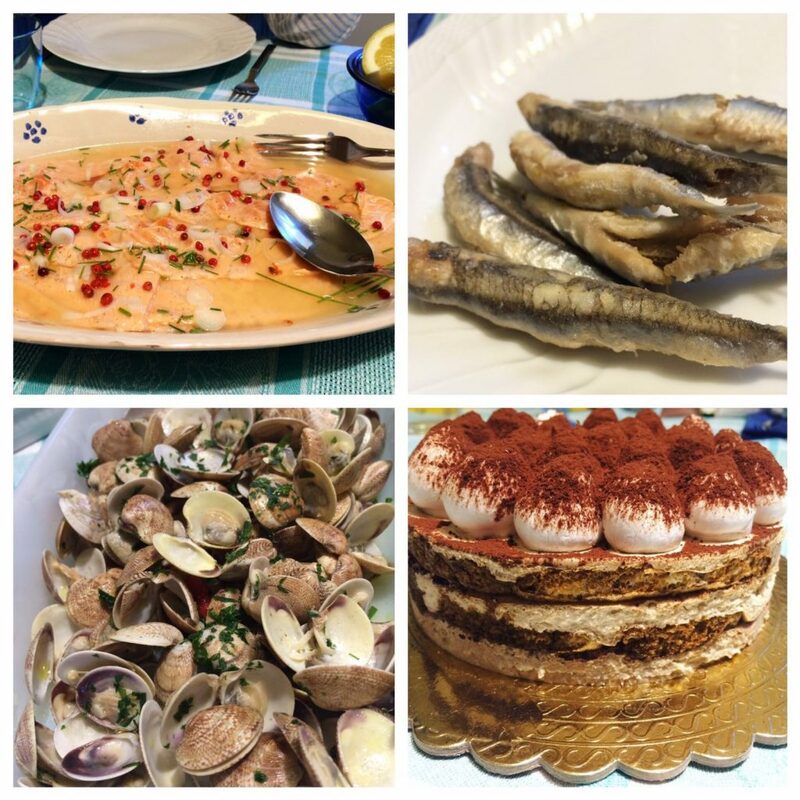 Dinner with the Catalanotti’s is not simply a meal but both an intellectual and sensory experience. Our conversations spanned history, politics, language, and travels. 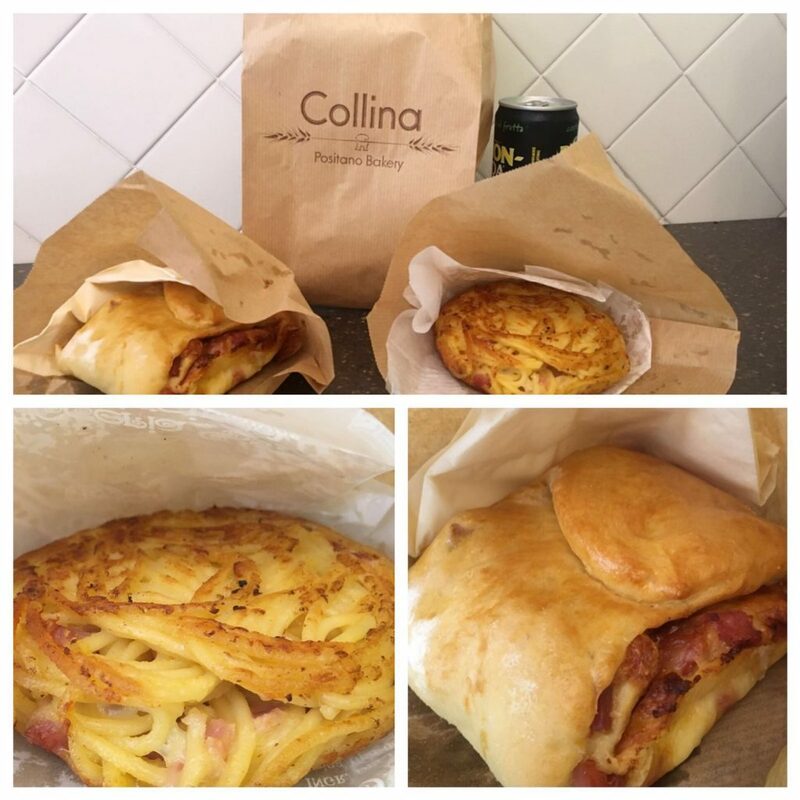 And the food…oh man…there are just no words. 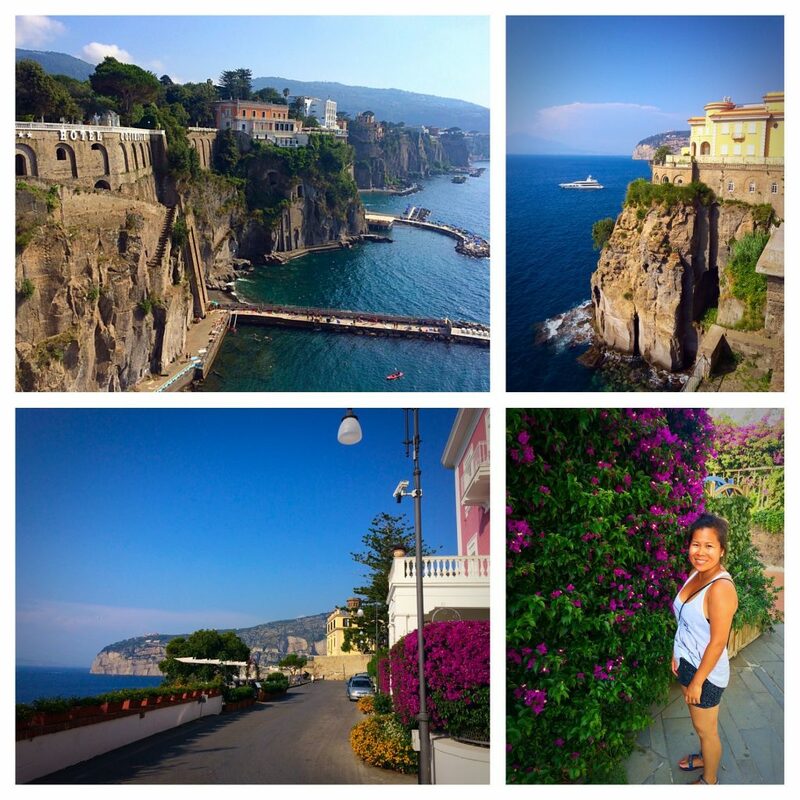 During the weekend, Sara and her friend Maria, arranged a trip for us to the Amalfi Coast. 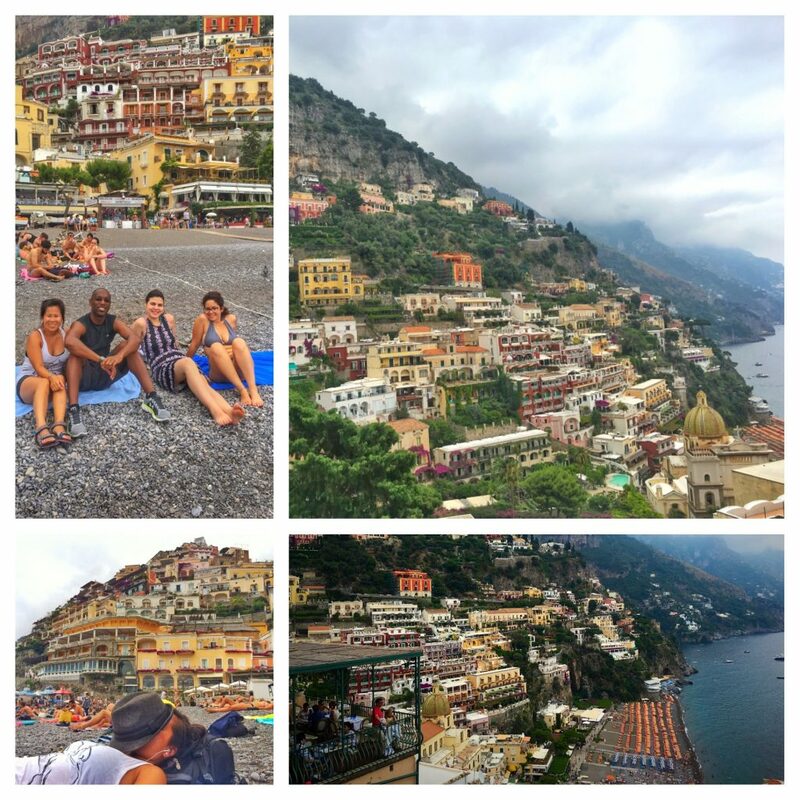 Back in 2006, I’d visited the Cinque Terre and experienced my first taste of life on the Italian Riviera, but Amalfi was just a different level of sensory overload. While some of the drive through the mountains reminded me of driving through Central California, nothing compares to the drive along the coast. Our first stop was the beach in Maiori for a few hours, where we relaxed on a beach set back from cliffs with a castle-like hotel in the background. 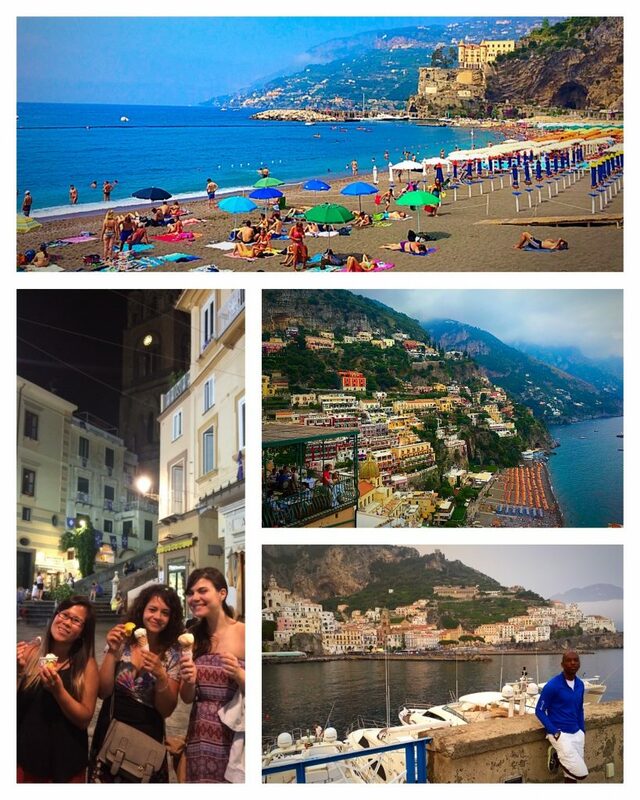 Simply an amazing welcome to the Amalfi Coast! 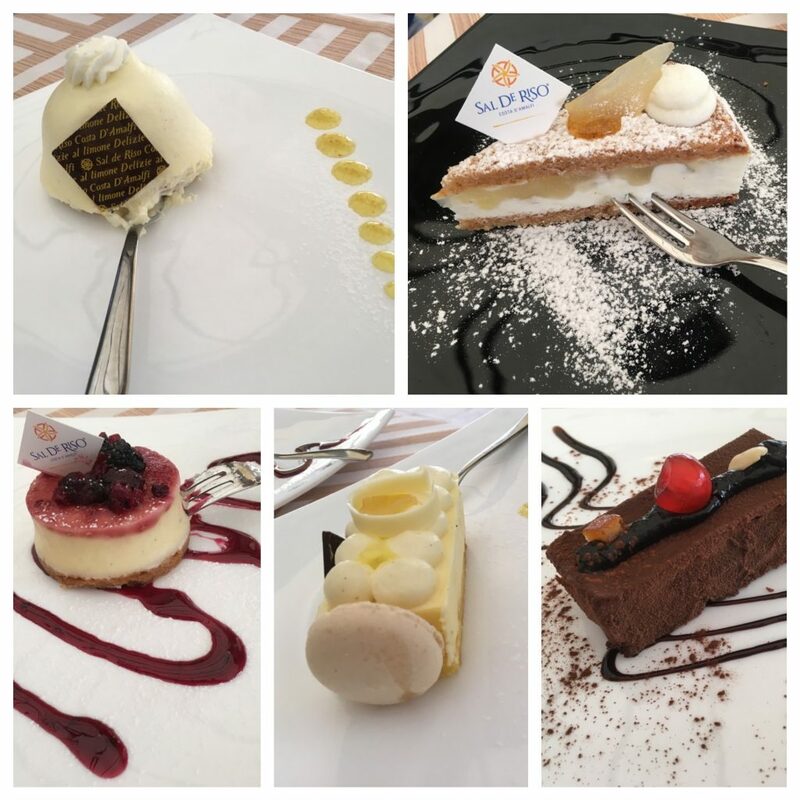 We then spent a bit of the afternoon attempting to find a pastry shop back in the mountains that, low and behold, was not a pastry shop but rather a distribution center. Instead, the actual pastries were sold at a café/bakery, just steps away from the same beach where we laid earlier in the day. Such is life! Then after braving a drive that I can only describe as the epitome of sensory overload, we arrived in the town of Amalfi for the evening. We could not have arrived at a more perfect time. Our hotel was practically on the coast, facing a promenade that provided one of the most breathtaking dusk shots that I’ve ever photographed. The next day, we braved the tight, windy, hilly road along the coast to reach Positano for a brief lunchtime respite on the beach. Though it was a bit cloudy, the experience of hiking through the town, reaching the beach, and looking back up at the hills was surely an once-in-a-lifetime moment. Prior to returning to Napoli, we stopped off in Sant’Angelo. 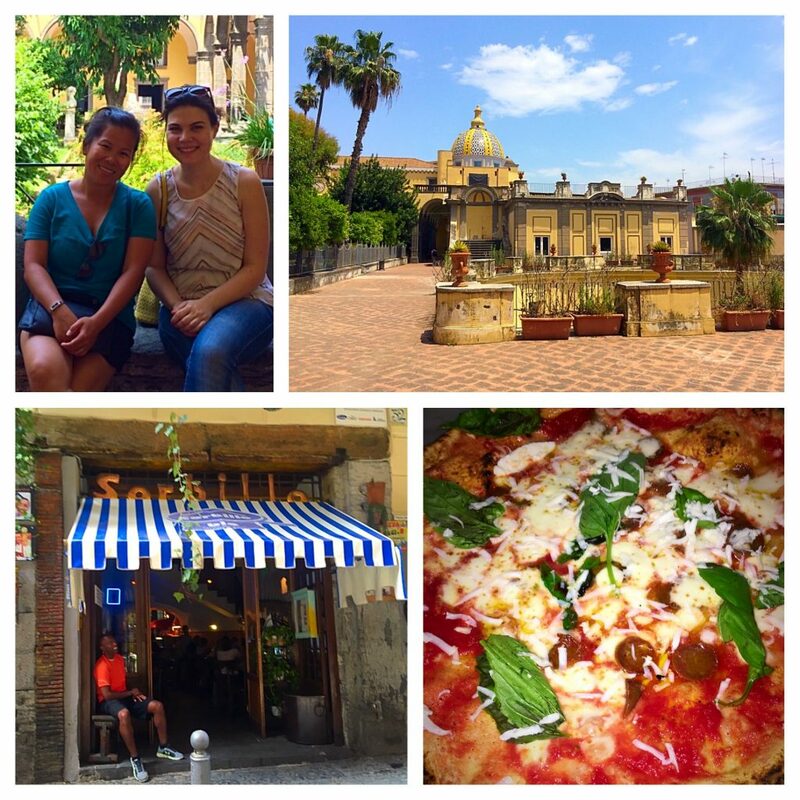 We originally wanted to make it over to Sorrento but in some ways I’m glad we settled on Sant’Angelo. 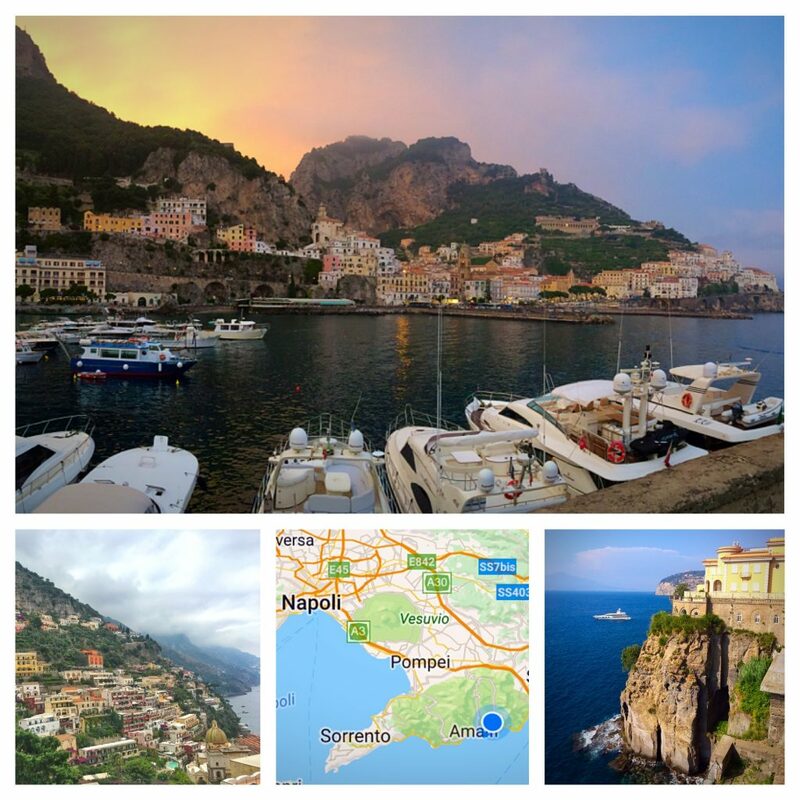 The weather had opened up and the views were simply amazing – such that we were able to experience the beauty of the Sorrento coastline from a distance. Given the over-stimulation of the weekend and all the traveling we had done up to this point, we decided to take it easy our last couple of days in Napoli. 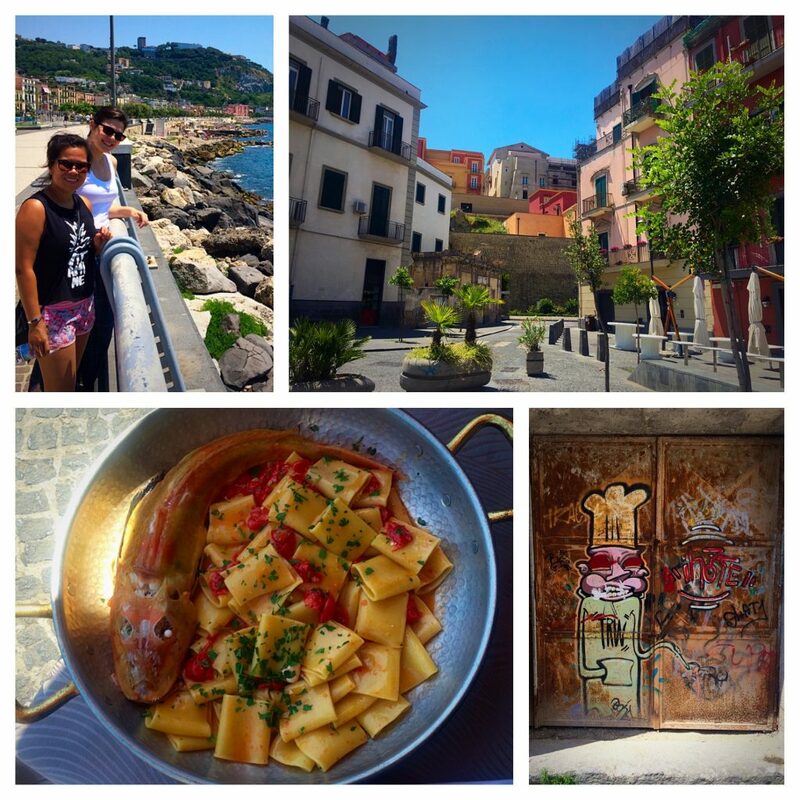 Rather than driving three hours (one-way) out to Matera or spending a day hiking around Pompei, we settled on a little known town called Pozzuoli – which just happens to be near the center of one of the world’s largest underwater volcanoes. 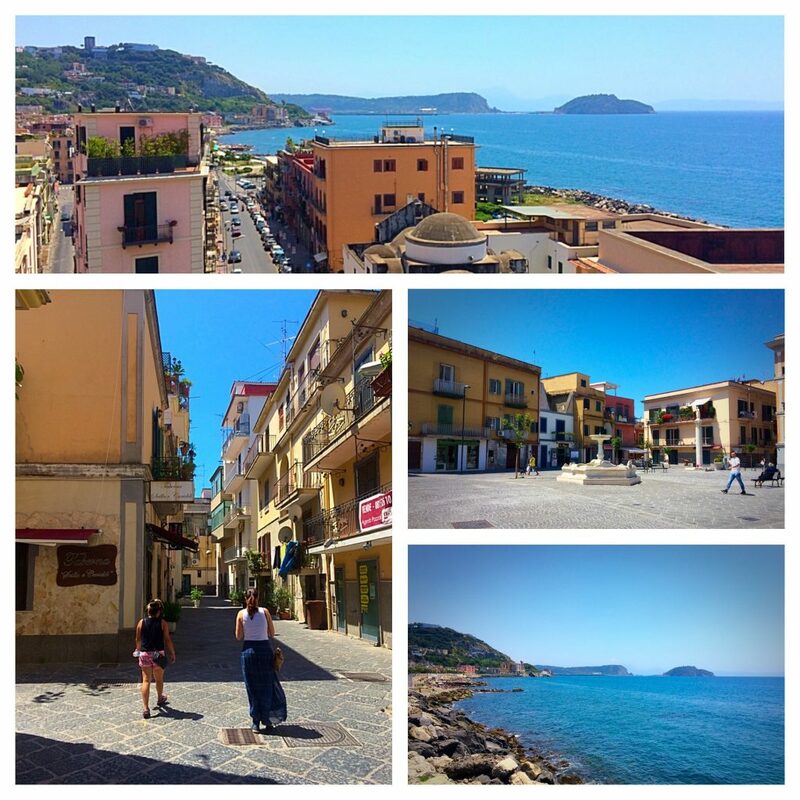 While the urban hike around Pozzuoli was a tiny treasure in and of itself, the landscapes from the town and on the drive back to Napoli were just awe-inspiring. Most people that travel to Napoli may never venture to the places we have experienced and see the sights that we have seen. 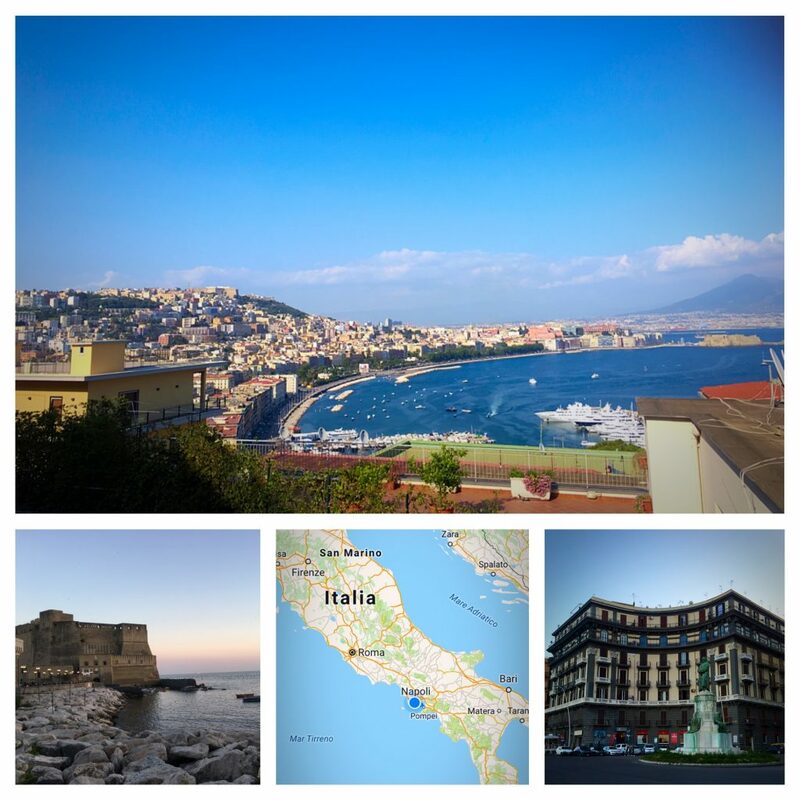 It truly provided a different perspective on the city and one that made me feel like Napoli in some ways resembles the San Francisco Bay Area of Italy. It truly is one of the most beautiful cities in the country and I have Sara, her friends, and her family to thank for showcasing their city/region in such a magnificent manner. Though we were leaving the cozy comfort of Catalanotti hospitality in Napoli, I was excited to return to Bologna for the next three weeks. 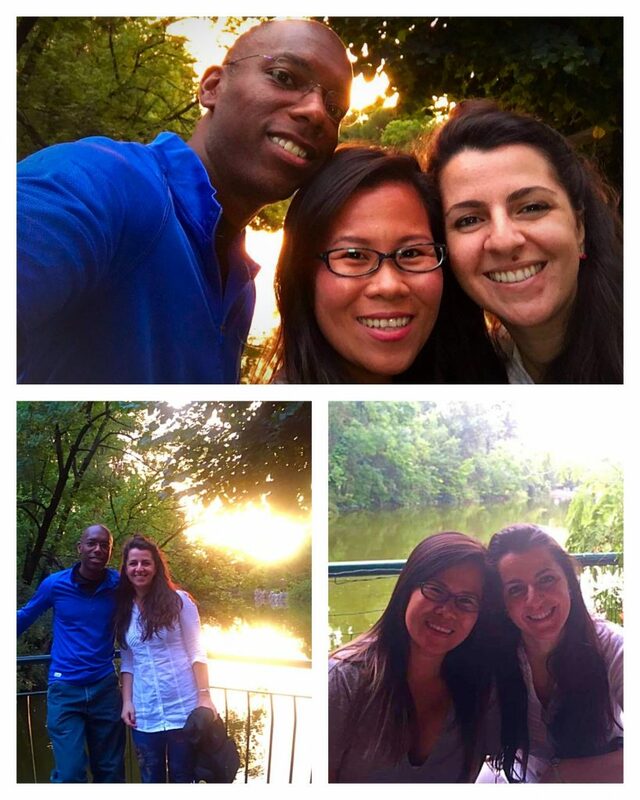 Since my original immersion experience in Bologna back in 2012, I’d kept in touch with my friends Lucia and Ricardo and was excited to spend time with them in the place where it all began. 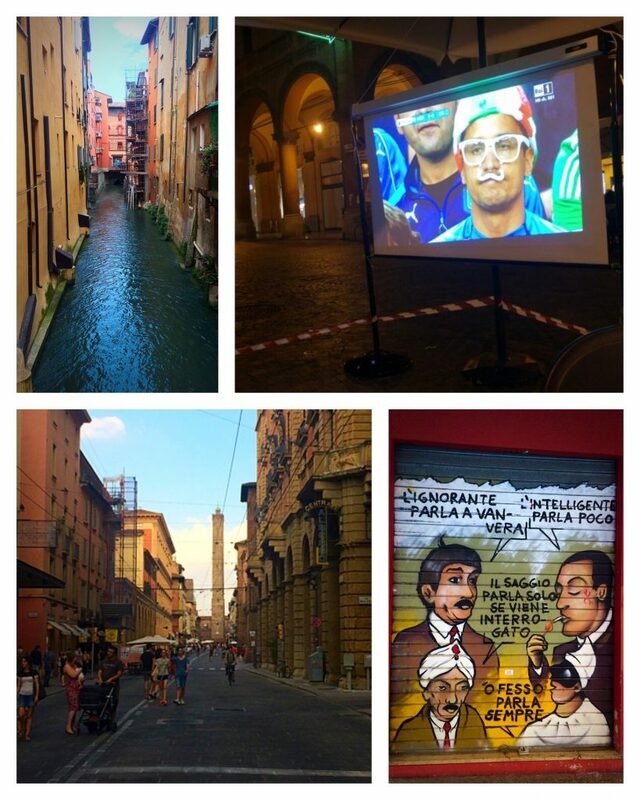 Bologna truly feels like another home for me. I have my favorite restaurants, cafes, and friends to meet up with a few evenings a week. This was the first time our nomadic adventure that I had my own network of friends in the city. 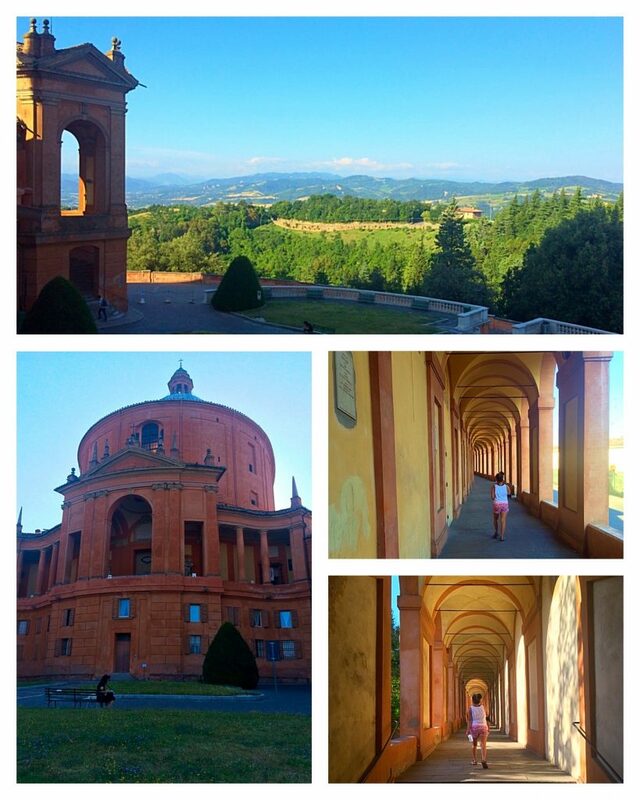 While that aspect of the trip was great, the god-awful heat and humidity of Bologna was completely unexpected. 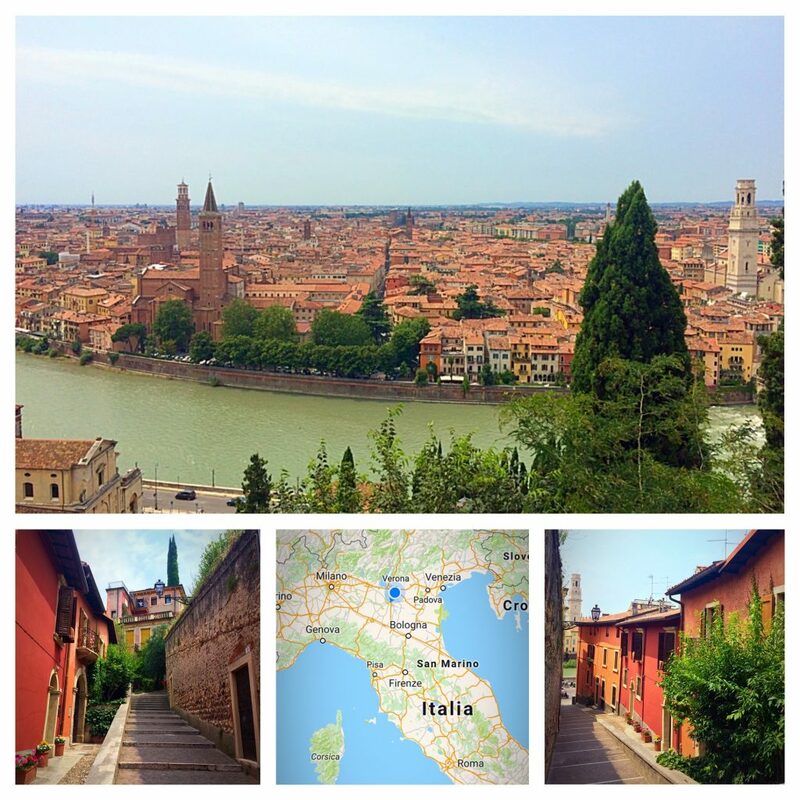 Though we were fortunate enough to find residence in a room of my friend Lucia’s friend’s place, we had no idea that sleeping in a third floor apartment with no air-conditioning in the middle of the summer in Bologna was not a pleasant experience. 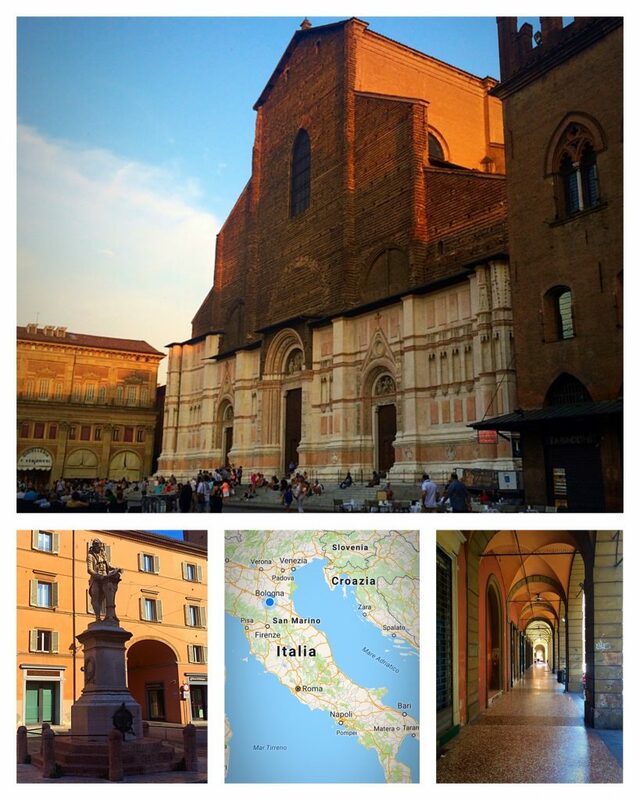 Fortunately, Bologna is known for its porticos, which surely are a godsend in the depths of summer where temps easily reach 85-90 degrees (F) daily and the humidity can be suffocating. I would have thought that the North was less humid and cooler than the South but I would have rather had the Napoli’s climate during our three weeks in the North. 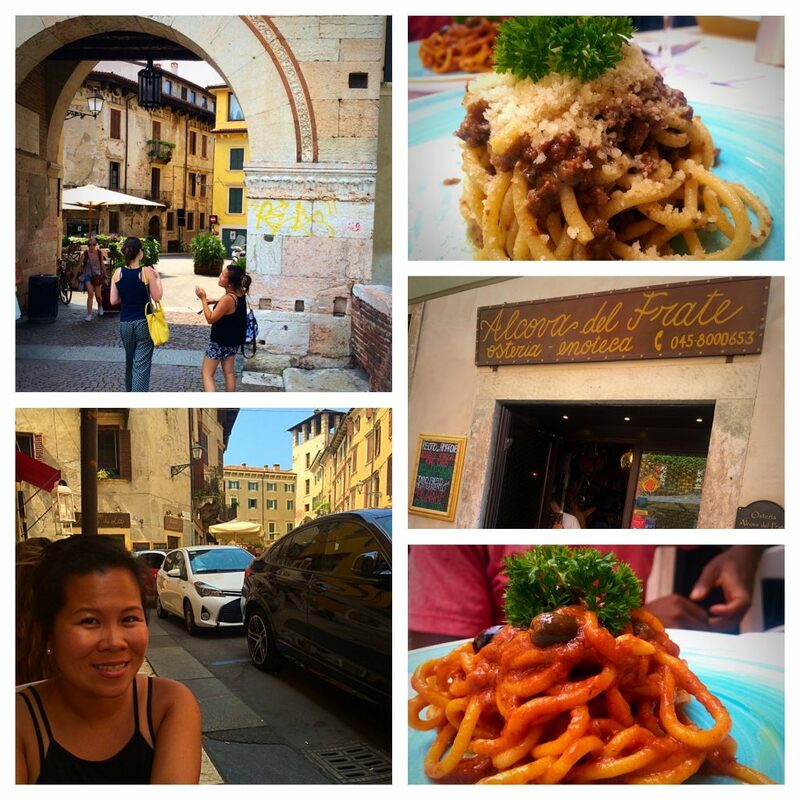 Nonetheless, we endured the summer heat as Italians do with good pasta, pizza, pastries, and pleasant nights in the company of good friends. 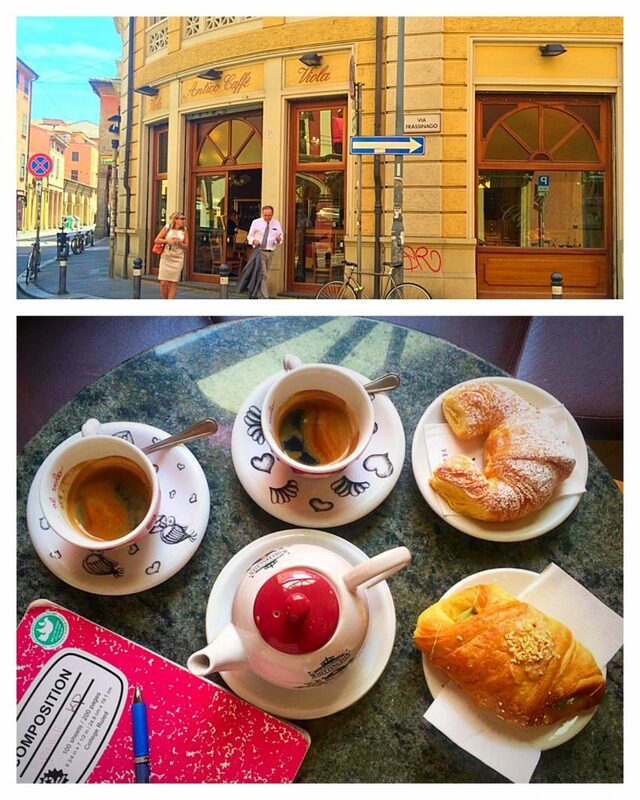 The only other time my wife had been to Bologna was for only one night during our “engagement trip” back in May 2013. So this time I wanted to show her more parts of the city, take her to some of my favorite restaurants, and show her some of the nearby towns that I’ve loved visiting over the years. 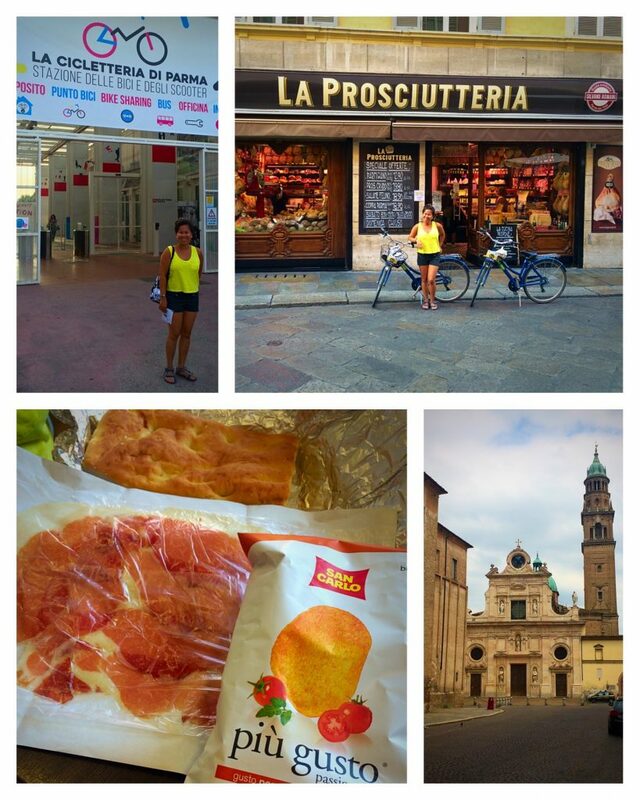 For our first day trip, we hopped the train to Parma to spend the day riding bikes around the town I like to call “Little Prague.” It was nice way to spend our July 4th abroad. 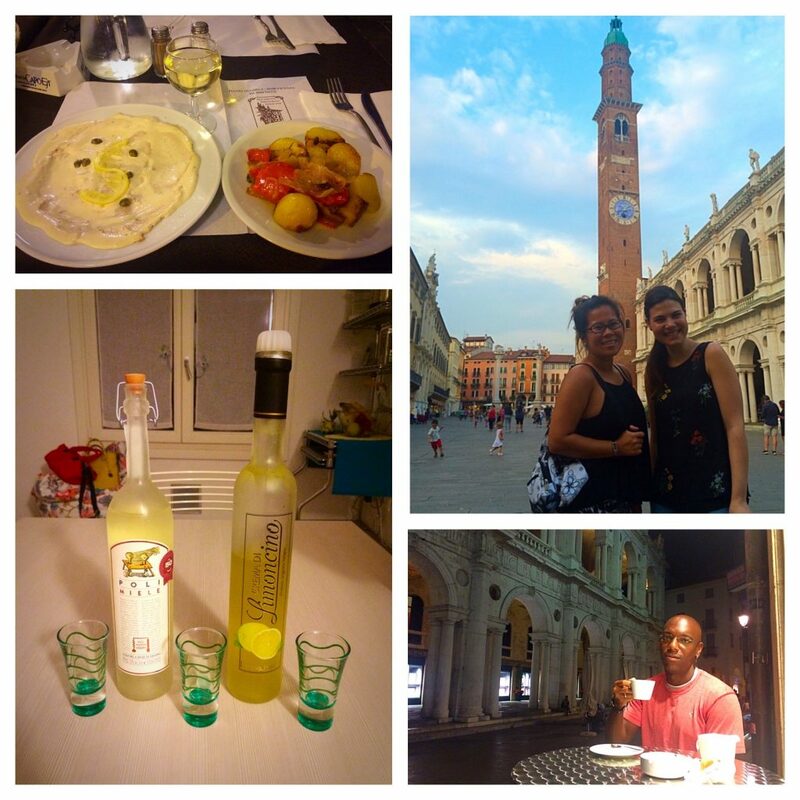 A few days later, we ventured up to Verona and Vicenza to meet up with my friend Sara (from Napoli) for a quick getaway. 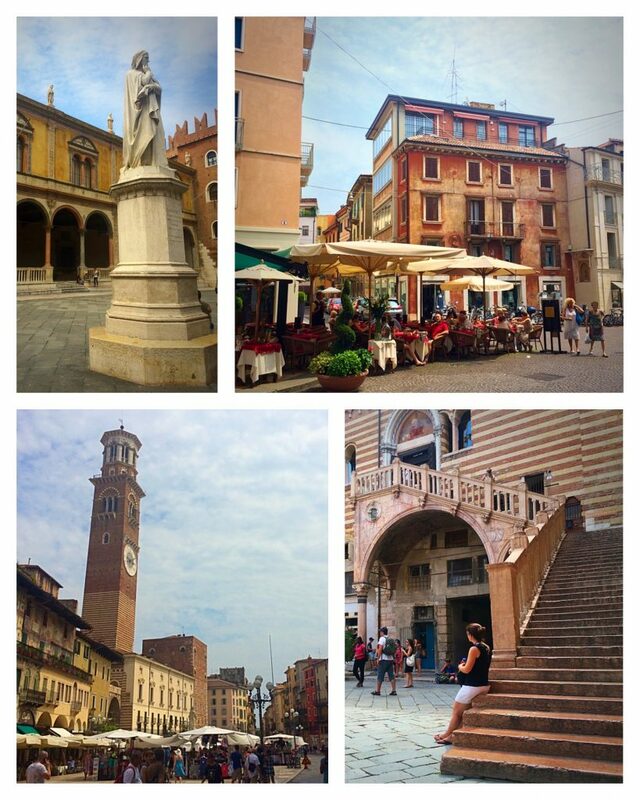 I’d been to Verona in 2013 but had never experienced Vicenza. 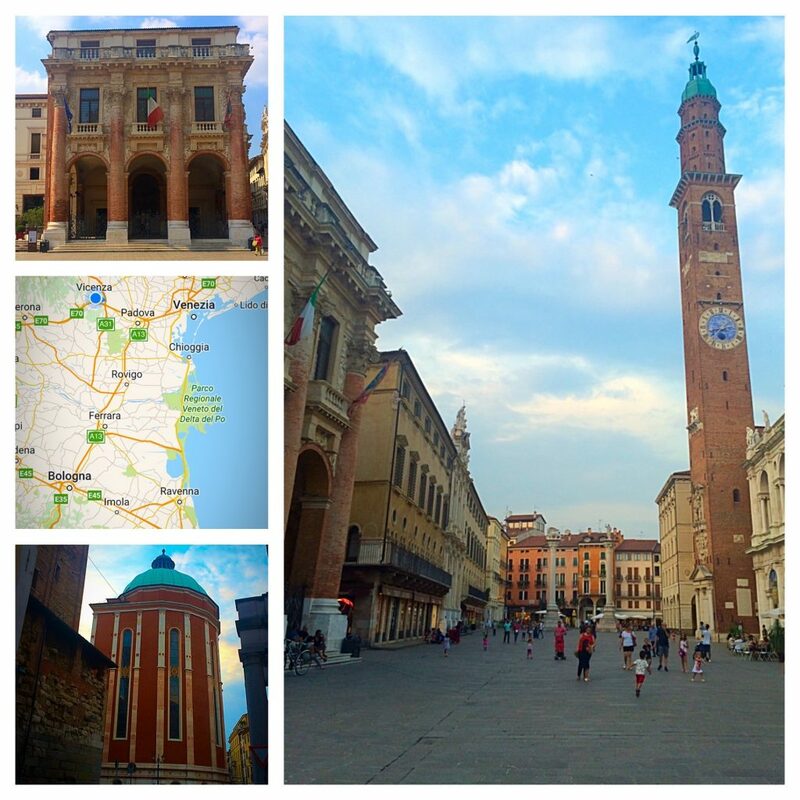 Given our travels, Sara thought that we’d be very unimpressed with Vicenza but, surprisingly, we loved it. It’s a small, quaint town. We probably wouldn’t ever think to live there long-term but it was a very nice change of pace from all the touristy towns that we had visited over the previous weeks. 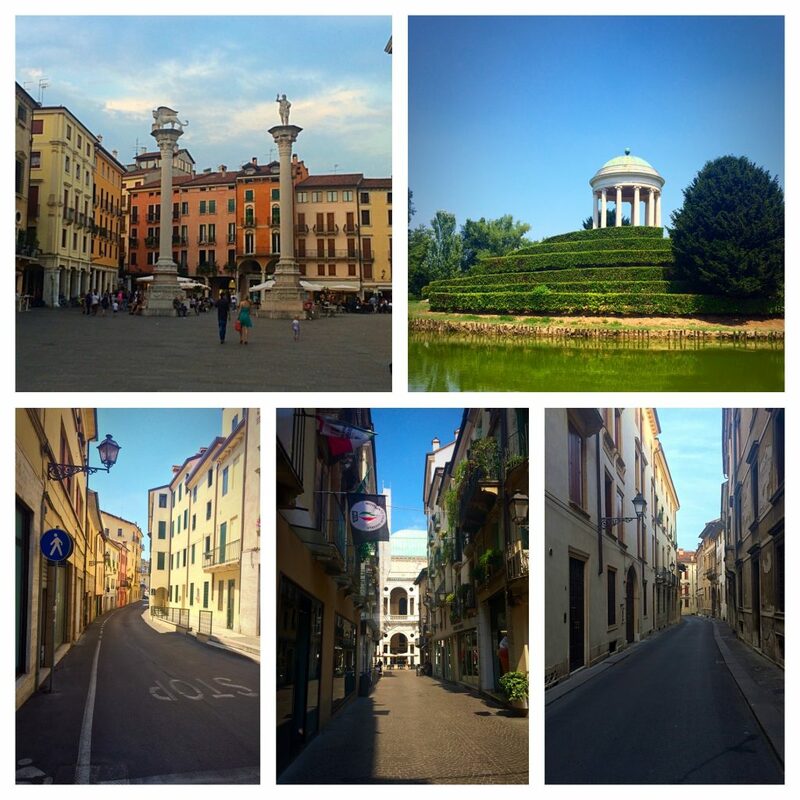 Perhaps, one of our fondest moments during our time in Northern Italy was our Friday night dining out and walking around the center of town – so tranquil, peaceful, and pleasant. Not to mention the amazing meals Sara made for us the following day for breakfast and lunch. Gotta love that southern hospitality transplanted to the North. 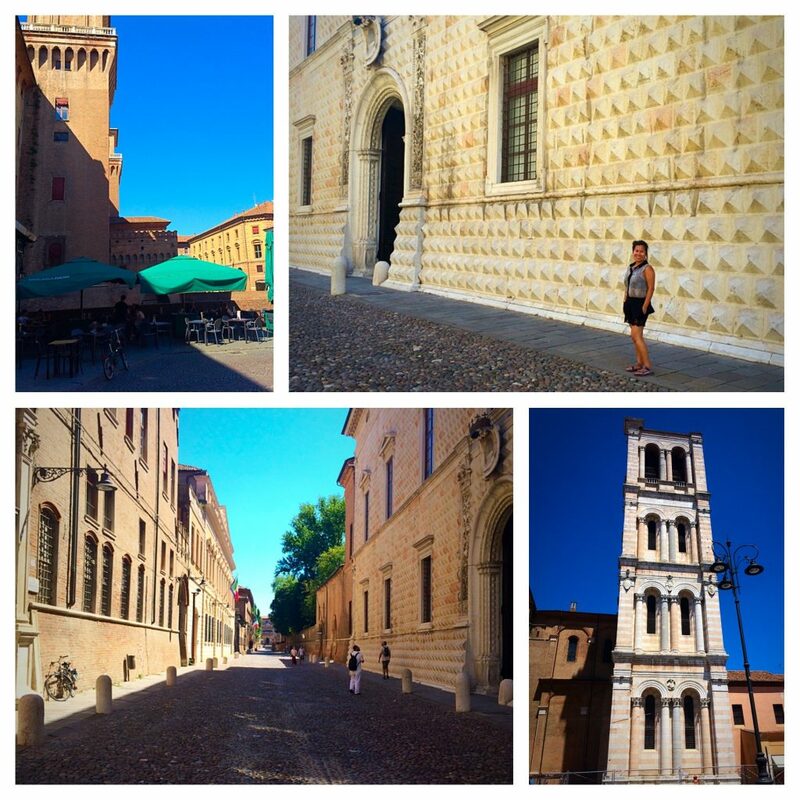 For our last Italian getaway, we spent a lazy, hot Sunday in Ferrara. 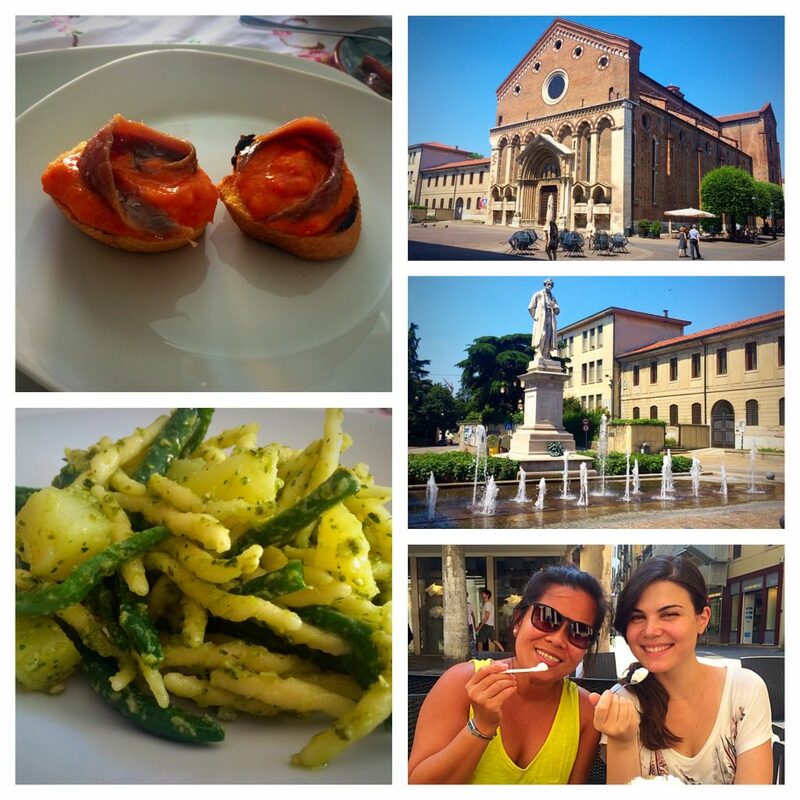 The first time I’d visited Ferrara back in 2012, was also the same trip when I first met my friend Sara. 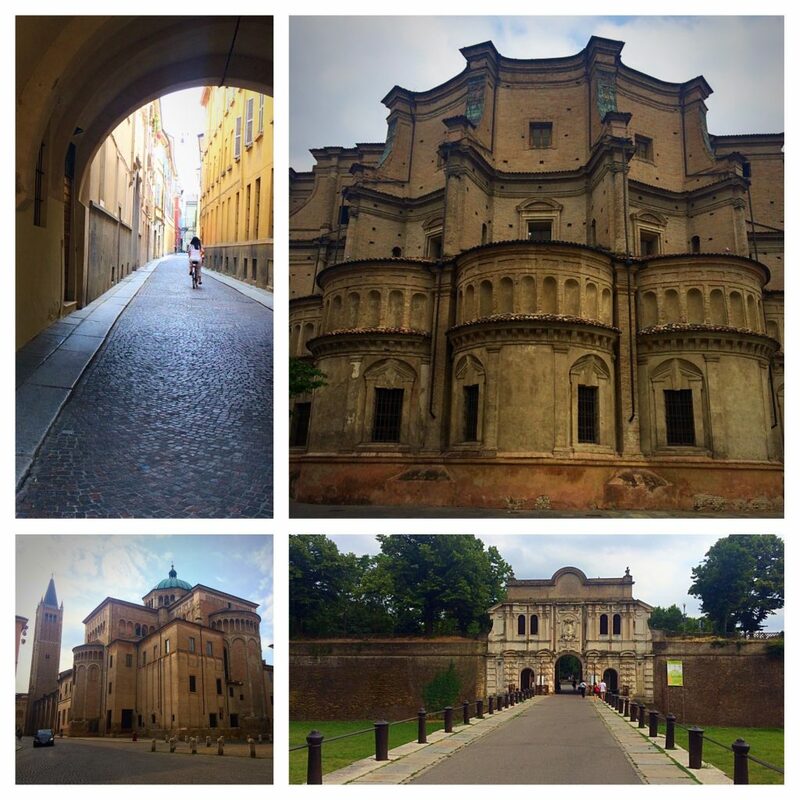 That day, we biked around town seeing the old wall, its famous castle, and other local sights. So I’d hoped to provide the same experience to my wife for the first time. But, alas, neither the heat nor the almost complete absence of locals allowed for that experience. Instead, we simply braved the heat to walk the old wall and enjoyed a lazy Sunday in the park, while we reminisced about our initial four months of travel. One nugget that emerged in both that lazy Sunday discussion and in recognition of our traveler’s maturity is that each experience is what you make it. It may not evolve exactly how you envisioned it, but so long as you are ready to adapt and make the most of the opportunity and your own energy at that particular time, then each experience can provide you with both lasting insights and lasting memories. 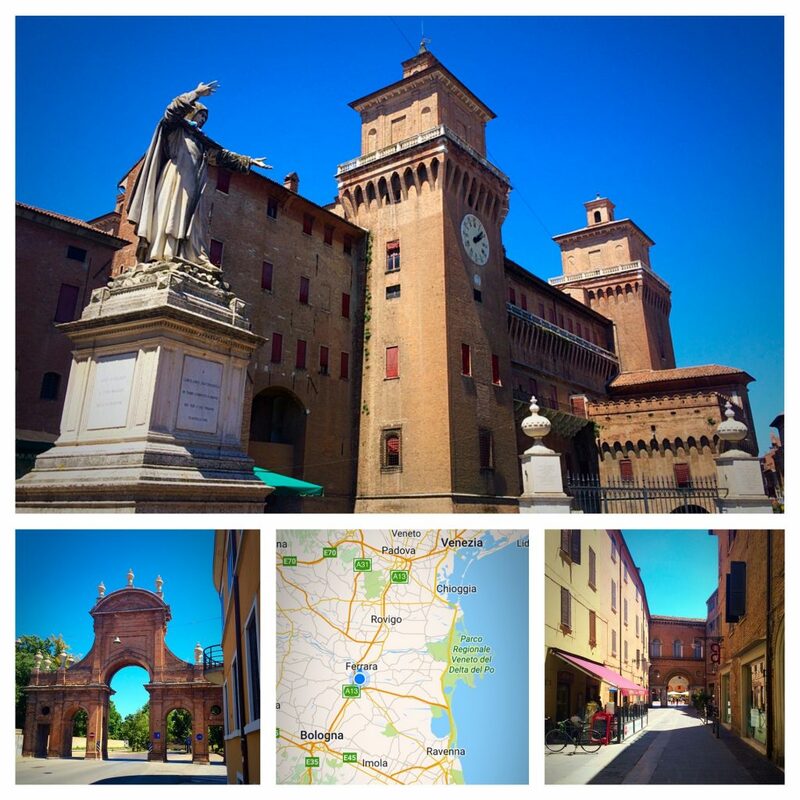 Such was our last minute trip to hot Ferrara. 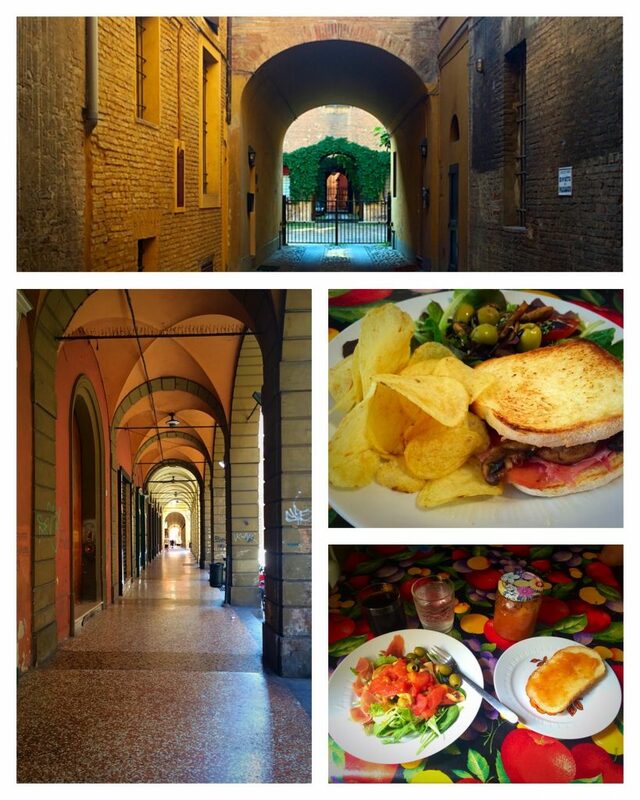 Bologna will always hold a special place in my heart. It’s a city that has given me friends for a lifetime and helped me grow in so many ways. While departing Bologna and heading to Madrid for our last night in Europe, I was overcome with excitement and enchantment. Excited about the experiences that lay ahead in Montreal and Asia and enchanted by our 105 days in Europe. Amazing views! 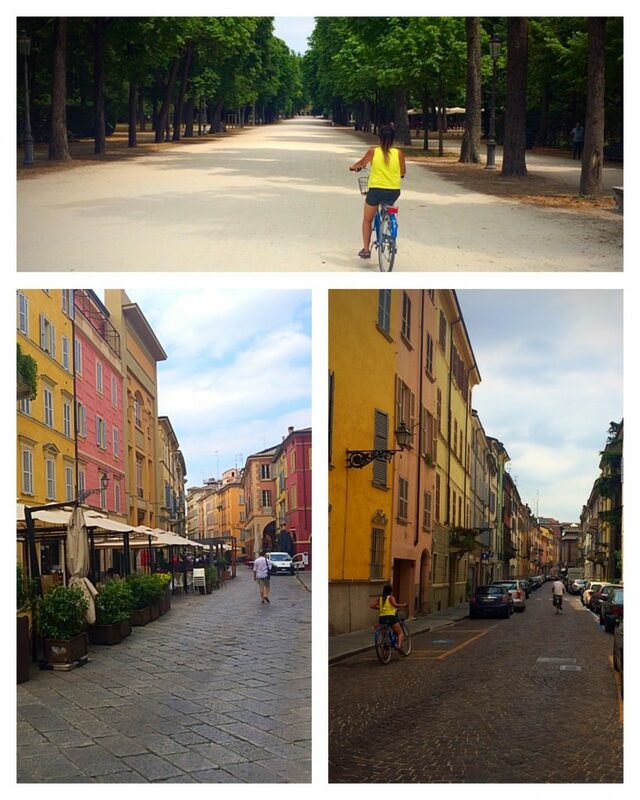 I could taste the food off the pictures and the way you are building the scenic adventure.. Bellissimo! so interesting how reading this again stroke a different chord for me. Really reminded me of when I came to the US. Knowing english and studing in an english school all my life did not prepare me for the linguistic culture shock. It was devestating! I worked so hard to get better and be able to blend and speak naturally. Glad we can connect on that front my man!